Home Blogs admin's blog IIETA welcomes new Editor-in-Chief and Associate Editors for RCES. 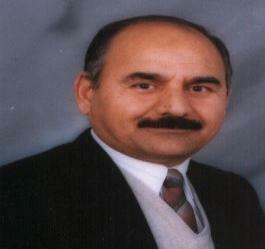 Prof. Sohail Asghar, RCES’s new associate editor, received his Ph.D. in Computer Science from Monash University, Melbourne, Australia in 2006. He has published 74 scholarly articles, and is currently Professor of Computer Science at COMSATS Institute of Information Technology in Islamabad, Pakistan. Prof. Vania Estrela, RCES’s new associate editor, received her Ph.D. in Computer Science and Electronics Engineering from IIT (Illinois Institute of Technology), Chicago in 2002, with an emphasis on digital signal processing/image processing. Out of over 18 scholarly articles, 24 conference papers, and 81 overall research publications, her work has been cited over 105 times. Having taught at DeVery University, DePaul University UENF, she is currently professor at Universidade Federal Fluminense, Departament of Energy and Telecommunications (TET) in Rio De Janeiro, Brazil. IIETA gratefully welcomes these distinguished scholars to share their experience and knowledge, and help RCES make significant contributions to this field of research that is so vital for today’s world, and tomorrow’s.